Showing results by author "John McIlveen"
In a suburb on Boston's North Shore, a catatonic little girl is found behind a dumpster. She is a mystery. As social worker Debbie Gillan pieces together the puzzle of the child's identity, she discovers the child had disappeared two years earlier along with a twin sister. 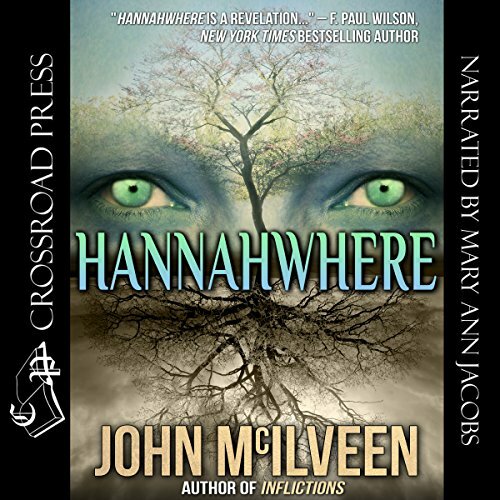 She also discovers Hannahwhere, an alternate world that is both a haven and a prison. Life-altering trauma becomes the key to unraveling the truth about the children, about Hannahwhere, and about Debbie herself. Not my genre but...I loved it!